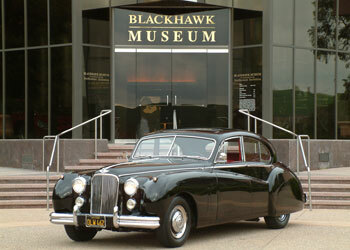 Please join us for our Third Thursday Mixer at the Blackhawk Museum, co-hosted by Scott's Catering Services! Meet other business owners for an opportunity to network and make your business more visible. Don't forget to bring your business cards! In 1803 Thomas Jefferson set in motion a plan to accomplish what had thwarted Europeans and Americans for 300 years—the discovery of an all water route from the Atlantic to the Pacific Ocean. He appointed his private secretary Meriwether Lewis to lead an expedition to find this Northwest Passage. Lewis, joined by his former army commander William Clark, left the East to follow the Missouri River to its source where, it was assumed, the source of the Columbia River would lead them quickly down that river to the Pacific. With 29 men, one teenage girl and her baby they set out on the first great American exploration of territory that would become part of the United States. Mark Jordan has scoured the journals and the literature of the Lewis and Clark Expedition for the last thirty-five years. He has traveled the explorers’ route in car, on foot and in his canoe. He has written about the expedition and has lectured at the Lewis and Clark Trail Heritage Foundation meetings both nationally and locally. He has taught the Expedition at the California State University of the East Bay and the University of South Carolina Beaufort for the Osher Life Long Learning Institute. Mr. Jordan will take you along on this incredible expedition, enabling you to see it through the eyes and words of the explorers. Along the way they and you will encounter thrilling adventures and hair-raising challenges. You will meet the natives and get a sense of the almost limitless wildlife. And see conventional ideas of geography turned on their head. This Speaker Series event is free with admission to the Museum and Museum Members are always free. Join the Museum today! More more upcoming events, click HERE. No RSVP Required. Checks and cash only.